No wildlife, but an excellent tour with plenty of opportunity for photos. No wildlife, but an excellent tour with plenty of opportunity for photos. VERY cold, but would not have missed it! Can&apos;t say enough how amazing this was. Can&apos;t say enough how amazing this was. Worth it! Long and boring boat ride on the start for couple hours but then it was epic in the fjords area. We had booked Zodiak tour, NCL excursions screwed up and put us on Fjords boat ride. We booked our flight for 1145, then got changed to 145, then frantically got changed to 1230. Boat ride was fun and scenery beautiful. Pilot was knowledgeable and fun. Pilot was knowledgeable and fun. Views were breathtaking. Breathtaking views from the plane on another beautiful day! Breathtaking views from the plane on another beautiful day! Landed in Fjord and watched sea otters playing on the shore. Trip was on a old radial-powered Beaver sea-plane. DO IT!!! Amazing - an eagle flew right by my window. WOW. Beautiful weather, great pilot and wonderful experience. Great flight, only 4 pax, landed on a lake and got to walk out on the floats! 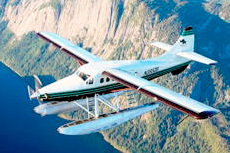 Loved flying with Misty Fjords floatplanes! Quite a long ride to the fjords and then not too much time there, but spectacular scenery - lots of waterfalls; we even saw whales! The scenery was breathtaking and the experience was wonderful. Really enjoyed our float plane! Really enjoyed our float plane! The pilot was very friendly. Make sure you wear appropriate clothing. Head guide kept saying we were late (I told him several times that we weren&apos;t) and rushed us back to the float where we waited about 25 minutes for the plane. A must do! Just beautiful!!! The Wildlife Cruise & Float Plane excursion was exceptional. The Wildlife Cruise & Float Plane excursion was exceptional. Great Commentary on both legs of the excursion. The Float Plane flight back to Ketchikan was an "E Ticket Ride"!